A God-Loving woman who is trying to follow God's will in the my marriage and with my children. While I teach them, love them and watch them play volleyball, baseball and tennis. Has the idea of teaching Spanish ever crossed your mind? Have you thought you're not qualified to teach it? If you answered, "Yes" to either of these questions I think you should check out Spanish for You!. 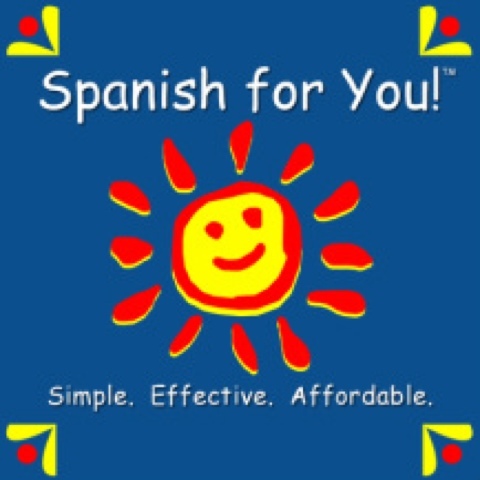 This is a flexible, easy to use and fun Spanish curriculum. Spanish for You! 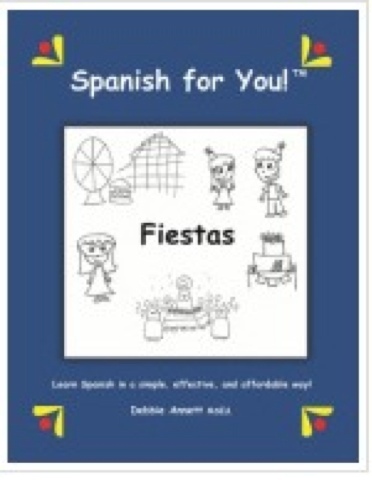 is written by Debbie Annett who has been teaching Spanish for grades K- high school for 14 years. She wrote this because of all the needs she saw in teaching Spanish for elementary and middle schools. A few of those needs were the ability of elementary/middle school Spanish to easily flow into high school curriculum and curriculum that allows families and school to use the same book with all their students. Ms. Annett is a very conscience writer. She is quick to answer any questions or concerns that you may have. She also has a blog that offers lots of extras that can be used as part of you learning experience. 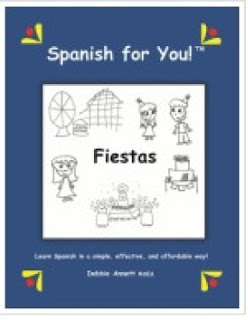 To get started with our review we received a download for the Fiesta themed package. It can be used for 3-8 grades being divided by grade level 3rd-4th, 5th-6th, and 7th-8th. You can order what we received for $64.95 plus the teacher lesson plans for $12.95 to $14.95 depending on grade level. You can check out a sample here. soft cover book or e-book. 24-30 week lesson guide for the grades you need (24 weeks for G5-6 & 7-8, 30 weeks for G3-4) (PDF download). audio files of entire book (includes bonus audio of native speaker of entire book) (MP3 download). I used Spanish for You! with my fourth grader and my first grader tagged along. My first grader did have a hard time with the worksheets (we used the 3rd-4th grade level), but had no trouble learning the words!!! The lessons are set up on a four day week schedule which worked great for us. We wasted no time jumping right in and getting started. We started with making the flash cards from the flash card pictures and then worked through the lessons. The audio files were very helpful for this non-Spanish speaking Mamma!! Since the program is flexible we went through things at our own pace. We have had to spend more time learning about conjugating the verbs than learning the words. We played games which helped make it a lot more fun. Since the first lesson was a "La fiesta de cumpleaños" (A Birthday Party) we enjoyed the two birthdays we had in our family while working on the new words. I honestly have struggled for years about having to teach my children a foreign language. I am happy to say that I see great potential with Spanish for You! to help me guide my children into a high school Spanish program for their foreign language credit. This is something that we will continue working on next school year and forward to have them prepared for high school Spanish. I really liked having the audio file. It made "teaching" this so much easier, since I wasn't trying to figure out how to say a word! 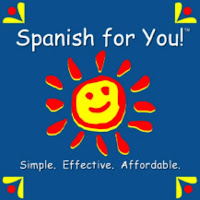 You not only have the author guiding you in Spanish, but a native Spanish speaking person as well. When I first received the files, they were very hard to follow and to figure out which worksheet went with which lesson. When the concerns about file confusion was brought to Ms. Annett's attention she reorganized the lessons together which will make planning much simpler. I personally would rather have the actual book as a hard copy instead of the e-book. I look forward to using this program forward in our homeschool with my 5th and 7th graders. I am a lover of Christ, my husband and my five children. I am a 43 year old woman who is trying to follow God's will in my life. I have a wonderful husband who works really hard to support me and the kids. 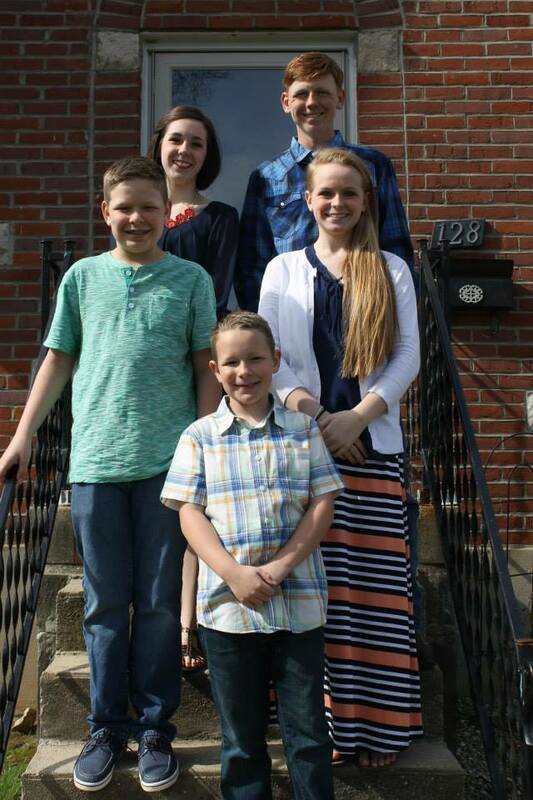 I have five great kids; 19, 17, 14, 12, and 9.